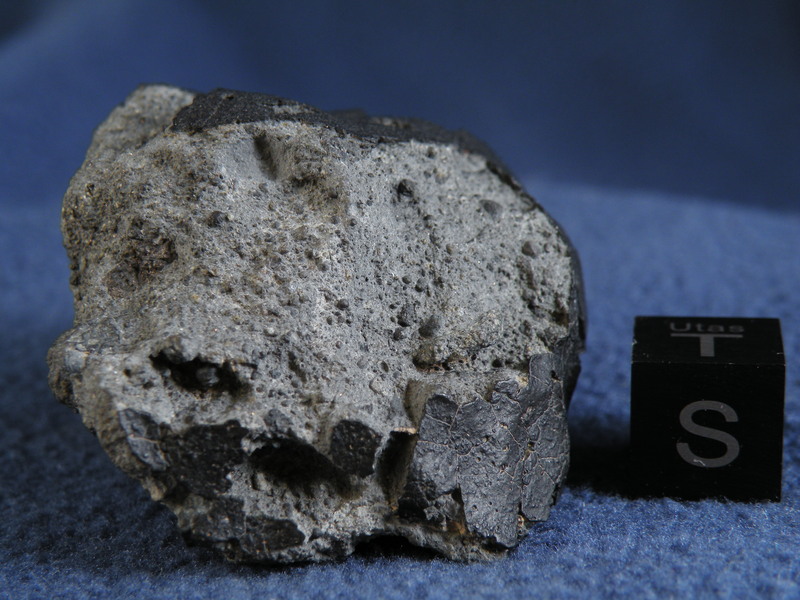 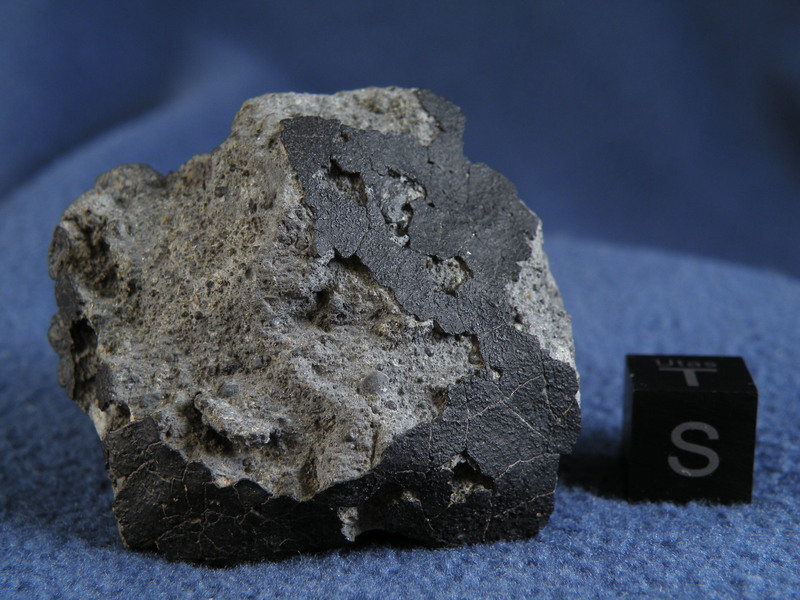 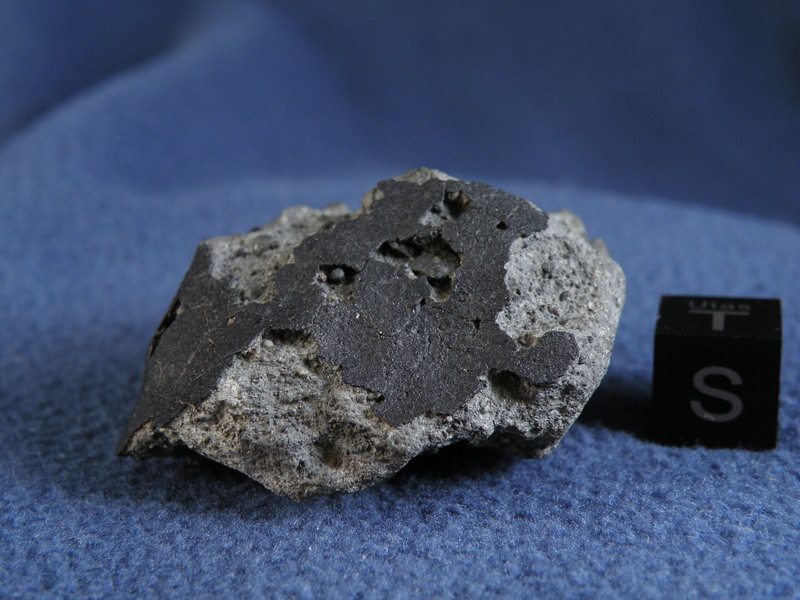 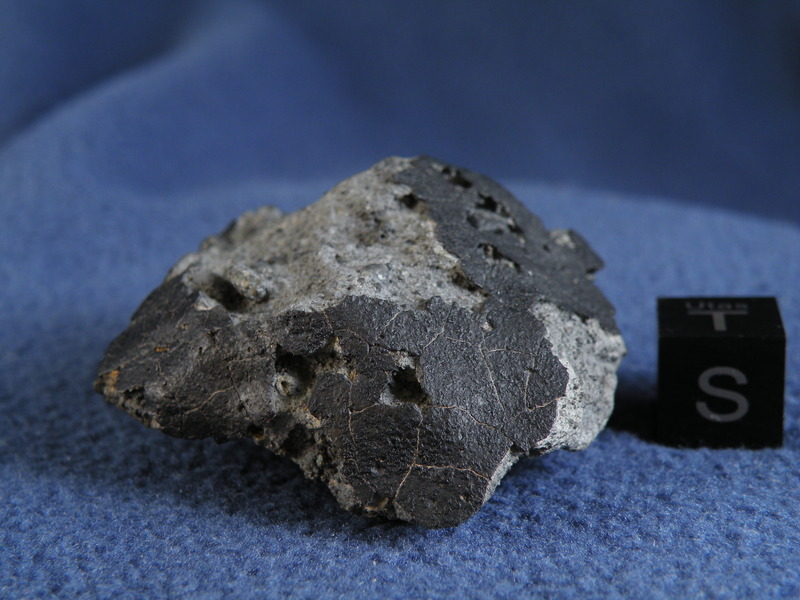 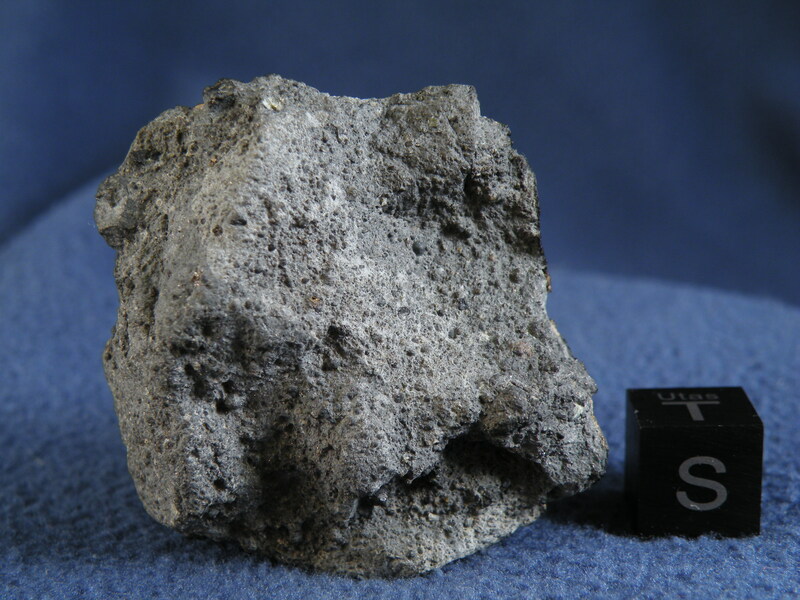 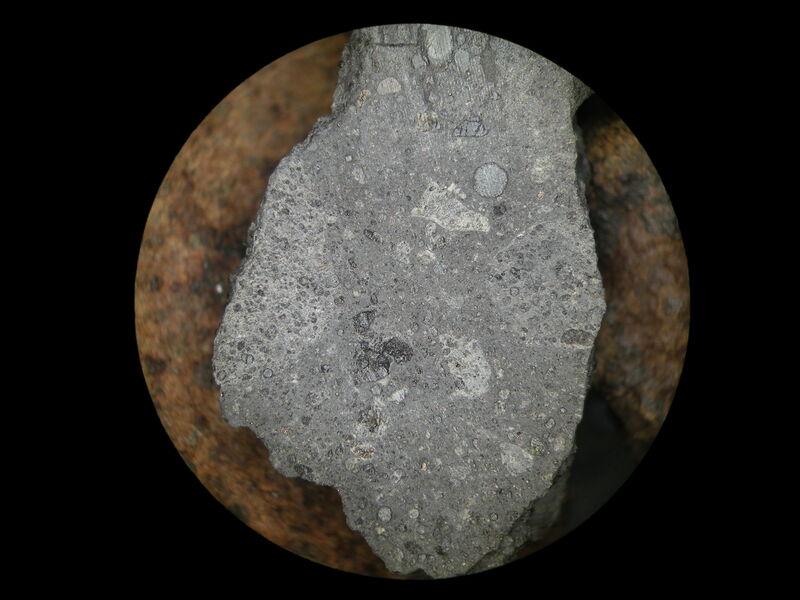 This 45 gram stone is one of the freshest rumuruti chondrites found. 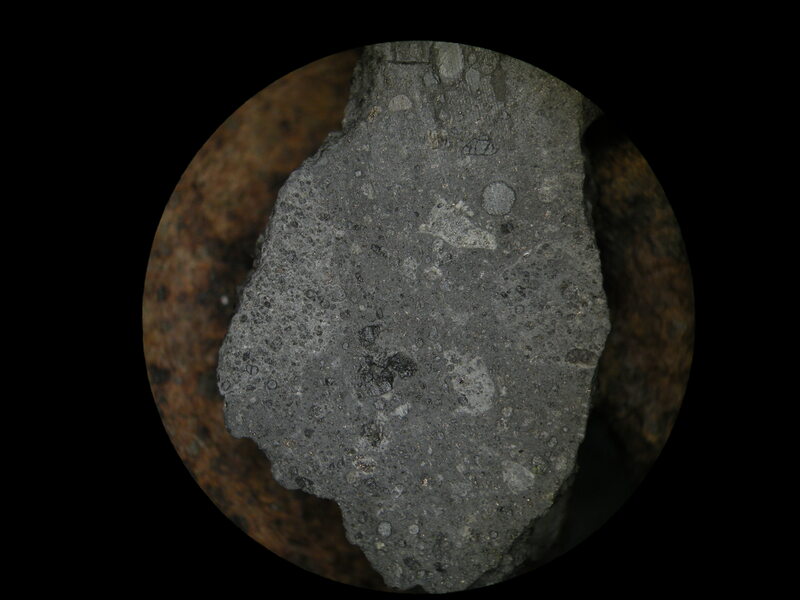 Glimmering sulfides can be seen on all surfaces. 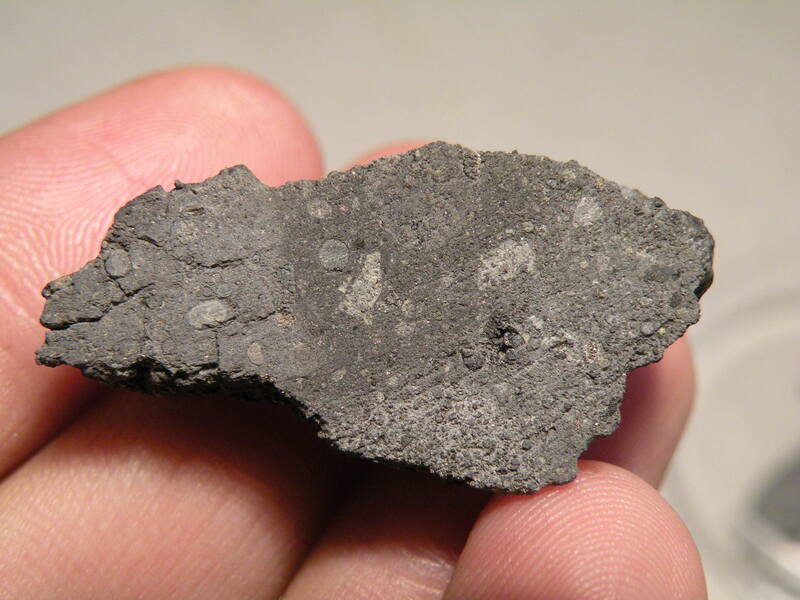 Mottled matrix colors (light/dark grey) are due to brecciation.